Using a bag from the freezer aisle, it’s easy to make all the frozen cauliflower rice recipes that seem like too much work. From pizza crust to grits, there are so many different ways to use frozen cauliflower rice to make healthy, low-carb, gluten-free recipes your family will love! 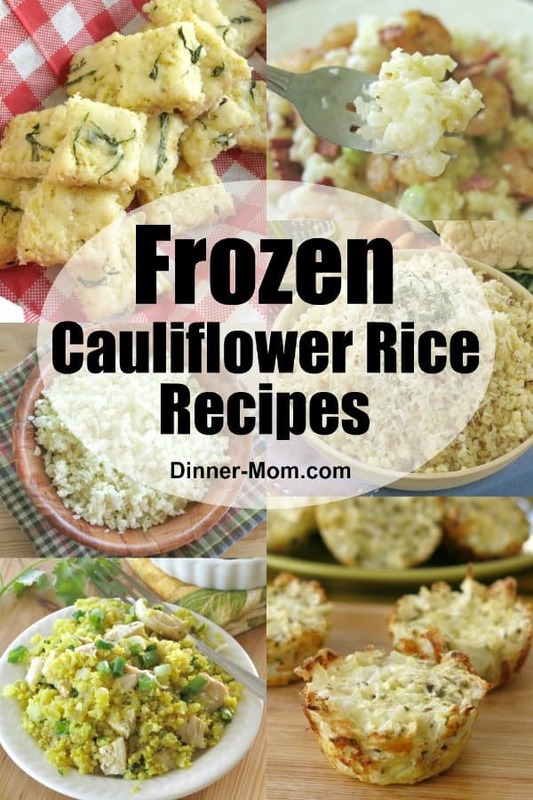 We’re sharing our favorite recipes made with cauliflower along with tips and adaptations to make them with a bag from the frozen food aisle of the grocery store OR a bag from your freezer if you know how to make and freeze cauliflower rice! No food processor needed when it comes time to make them. No fuss. No mess. Of course, these cauliflower recipes can be made with fresh cauli-rice too. But, they’re equally spectacular from a bag of FROZEN “rice”…so buy a bag and try out that recipe on your to-do list. Break up any frozen clumps with a spoon or your fingers before using or measuring. 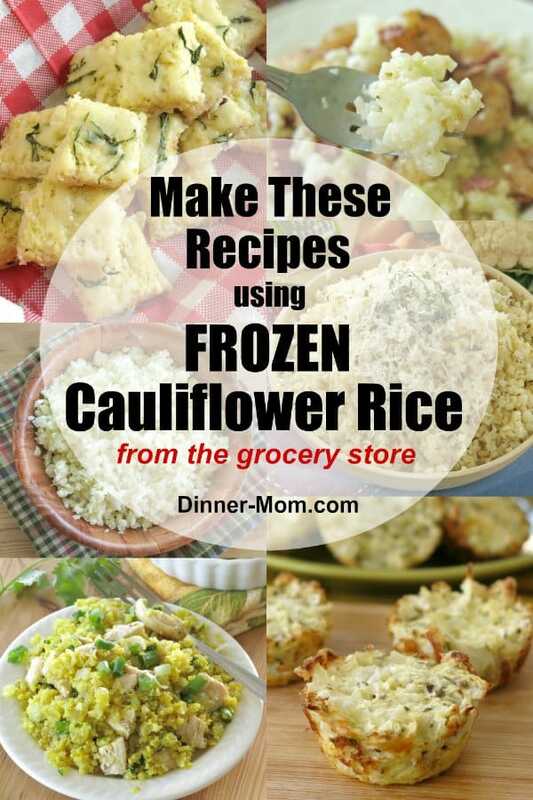 Riced cauliflower in the frozen form measures about the same as fresh rice. Cauliflower rice cooks very quickly. For stove-top recipes, cook it at the end. The good news is you might not have to! When a recipe calls for fresh cauliflower rice and you’re not making a dough, then simply replace the fresh rice with frozen. 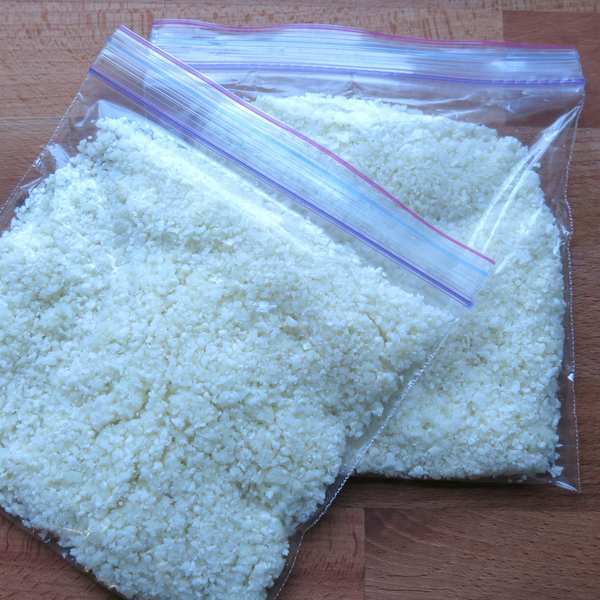 Place riced cauliflower in a microwave-safe bowl and cook on high in the microwave for 3-4 minutes or follow instructions on the bag to steam the rice in the bag. Allow rice to defrost in the refrigerator and then squeeze out the wetness. How easy is this options?! Either way, press out as much moisture as possible by spreading it out on a dishcloth and squeezing out excess water. Below you will find the tips to make dough, roast it, cook it on the stove-top, add cheese and make egg muffins or tots. 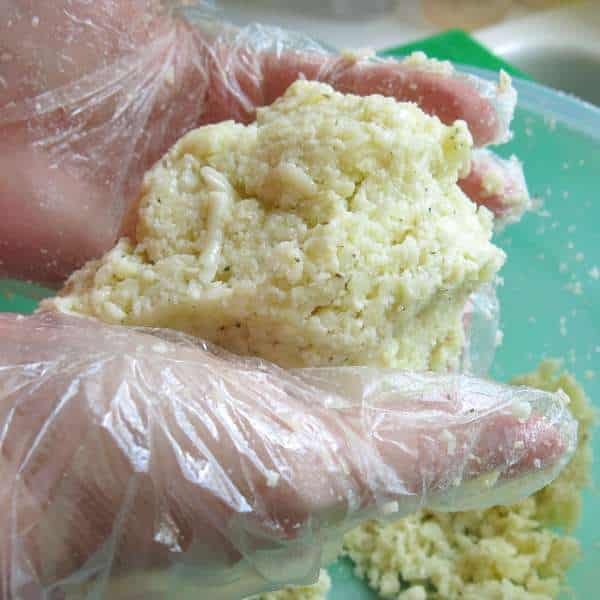 When making pizza crust from frozen (or fresh) cauliflower rice, it must be steamed and then pressed to remove excess liquid. When you’re done, you’ll end up with a mass that can be molded into the dough that will become the base for low-carb bread alternatives. 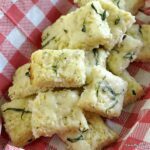 Here’s our baseline recipe which can be made into a crust, breadsticks or appetizer-sized bites. 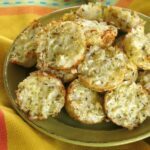 Easy Cauliflower Pizza Bites recipe! Shape dough for a traditional crust or make appetizer-sized mouthfuls. Add your favorite toppings for a low-carb, keto-friendly, gluten-free pizza night! Never did I ever think that roasting a frozen vegetable would result in a final dish that was as good as one made from fresh. 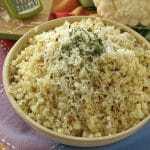 But, it definitely does in this recipe for Roasted Cauliflower Rice with Garlic and Parmesan Cheese. Break-up large clumps with a spoon and then roast it in the oven just as you would for fresh cauli-rice. When starting from frozen, you may need to add a few extra minutes. But, that’s all. Making Roasted Cauliflower Rice with garlic and Parmesan cheese couldn't be easier using FROZEN cauliflower rice from the frozen foods aisle! Stove-top recipes that call for cauliflower rice can also be cooked directly from frozen. 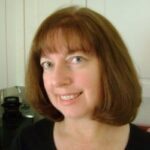 It only takes about 5 minutes to attain the perfect texture. Curried Cauliflower Rice takes less than 15 minutes to prepare and is ready in even less time when you follow our tips for freezing cauliflower rice. If you’re a fan of cheese, then definitely add it…at the end! 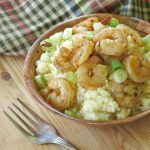 Cauliflower Grits and Shrimp are easy enough for a busy weeknight, tasty enough for company and the perfect recipe for a low-carb, gluten-free diet! There’s no bread at all in these cauliflower muffins or tots. It’s just another fun way to use frozen cauliflower rice. Break up any frozen rice clumps and follow the recipe below as stated. 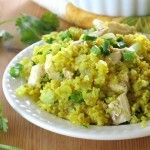 Looking for more Frozen Cauliflower Rice Recipes?